A dry Owens Lake. Thank Los Angeles for that! Cactii under the shade of a conifer! And Pine. In the same place! Welded tuff - from the last time Yellowstone erupted! Sunrise. Sand dunes and the mountains. A mirage. The Grandstand. And a sailing stone. While this one's a close race! WOAHMYGOD! What shots. This is what photography is about...seeing something first-hand and then seeing it all over again. Only differently! ...and re-living what one sees first-hand. > So, when are you doing the coffee table book? super.. maybe now I have a chance to see this! Amazing Pics. Thnaks for sharing them. Beautiful! Once again, you do not fail to impress! > But which stone won? do you know what flowers/family they could be? I'd love to get an ID on them. I know I asked you before if I could use your pictures to make icons of, and I'm quite sure you said yes, but I never got round to it. So I'm just checking to see if you're still okay with it and if you don't mind if I post them at zwerm. Of course I will credit you and ask everyone who uses them to credit you as well. And I found out the name of the flowers. 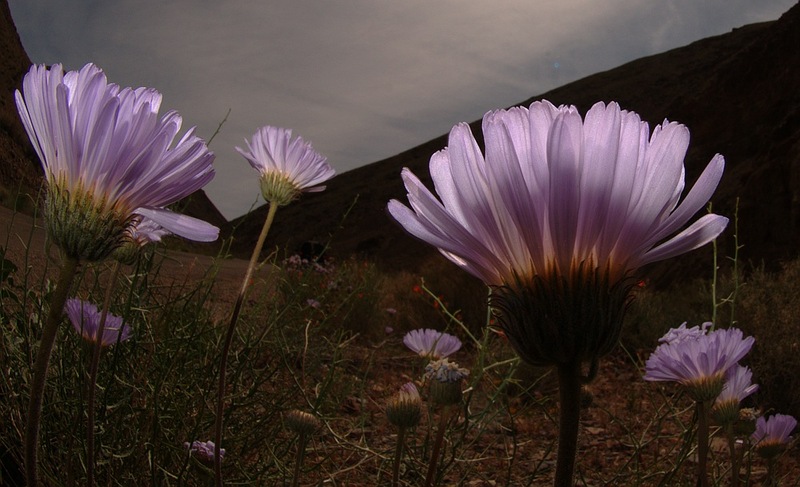 They are called Desert Aster. Wow, your pictures are always exceptional but some of these are just stunning. Roadside flowers and the Iguana are my favorites. wow, way to make my morning! That place is so huge, we've only scratched the surface! Really, really good photos, Yathin! Superb. Looks like this is running Yosemite for a...photo-finish! Oh, don't talk to me about high mountain passes....I am in for high mountains of diapers...and pisses, not passes.... for the next few weeks! Can't complain, Eli is a well-behaved GD so far...but...walks in Forest Park are about it for me now. Superb. Liked the iguana, sand dunes and the Grand stand, truly awesome! Wow , great photos ! And what a place , looks truly amazing ! The second Iguana photo is my favourite , but the others are cool , too ! Have a nice day/evening/morning or whatever the time is where you live :) !